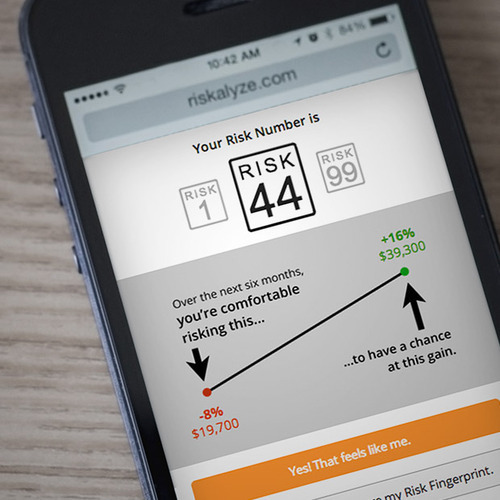 After hundreds of hours of design, development, advisor input and usability testing, we’re excited to announce the launch of the next-generation Riskalyze risk questionnaire. There are three big innovations in the next-generation Risk Questionnaire. Two Versions of the Questionnaire. You’ve seen our existing quantitative approach, built on Nobel Prize-winning science, that captures a detailed Risk Fingerprint for each client. Now advisors can choose a simplified version for clients who might be elderly or have simpler needs. And it’s just as easy as ever to engineer portfolio risk to fit those clients. Using Risk to Generate Leads. 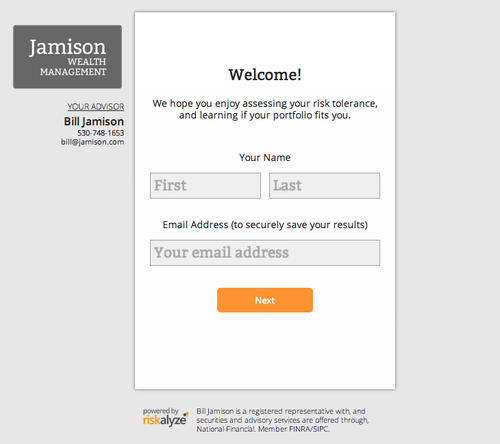 With a simple link or a few lines of code, you can embed the Risk Questionnaire into your own web site, creating a new way for prospective clients to engage with your firm, send you their risk tolerance, and ask for a portfolio analysis to see if they’re on the right track. With a few clicks, your web site transforms from a brochure into an active tool that generates new business. 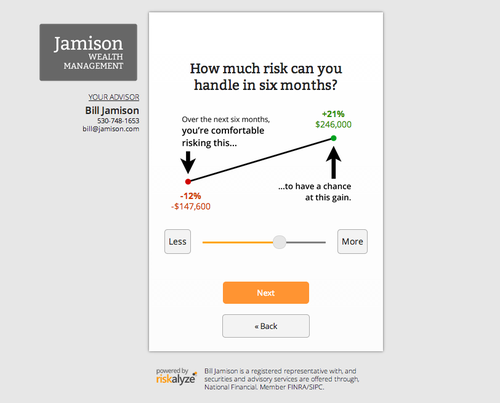 The new Risk Questionnaire is live for all Riskalyze customers as of today. The Lead Generation version will be activated for customers over the course of the next week. To join a guided tour and see Riskalyze in action, just click here to RSVP.